The inaugural IOHK Plutus Fest, held last week at Edinburgh University, aimed to separate blockchain reality from hype with new platforms based on scientific principles and published research. Graham Buck reports. Brighton has the UK’s only Green member of parliament, but the accolade for “most liveable city in the world” is awarded to Edinburgh in the 2018 Sustainable Cities Index compiled by global consultants Arcadis. The Scottish capital scored highly in several categories, including a strong rating for its levels of education. Edinburgh is also providing London with strong competition as a location for blockchain start-ups, as reflected in the expanding campus at the city’s university, which has become a major global institution for fintech research and active collaborations with the industry. The Edinburgh Blockchain Technology Laboratory (BTL) was established at the university in early 2017 by digital technology company Input Output HK (IOHK) as the base for its network of global university partnerships. IOHK, both a research firm and engineering company that builds cryptocurrencies and blockchain for academic institutions, commercial and non-commercial entities, jointly invests with the university between $500,000 and $1 million annually in the BTL. The lab is located in the university’s school of informatics, dating back to 1582. 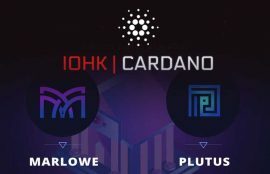 IOHK’s own origins go back only to 2015 when it was founded by Charles Hoskinson and Jeremy Wood, but the company is already well-known for its Cardano (ADA) blockchain platform (and ADA, currently the 11th largest virtual currency and associated with the Cardano network) launched two years later and which has established itself as the first blockchain built on scientific principles and tested by academic teams. 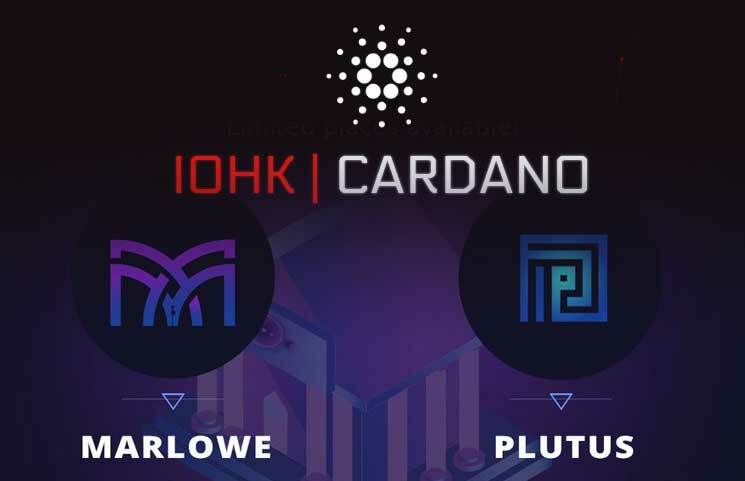 Cardano is also underpinned by mathematical algorithms, which according to its developers give it the edge over earlier platforms such as Ethereum in addressing weaknesses such as their heavy energy consumption and vulnerability to hackers. The limitations of Ethereum were underlined this time last year, when the success of CryptoKitties stretched the system almost to breaking point. Chief scientist for IOHK, Professor Aggelos Kiayias is also the university’s chair for cybersecurity and privacy admits that there are still a number of unanswered questions surrounding blockchain. The BTL’s mission is explore issues surrounding the deployment of distributed ledger and blockchain technology; conduct security and performance analysis; and make the results of its research publicly available. It also seeks to engage with industry partners in delivering the high-value applications of blockchain, particularly on the current obstacles that hinder the writing of smart contracts as current programmes are difficult to use. Projects being undertaken by the BTL’s researchers include potential applications of blockchain for charities (such as the Ox-chain project being developed specifically for Oxfam); designing a blockchain wallet to hold a user’s various assets; faster blockchain protocols; improving the trust aspect of systems for payment channels; uses of blockchain for scaling up the economy; using the technology to improve timestamping and harnessing it for online voting. The university’s expanding campus also includes the newly-opened Bayes Centre, with a remit to innovate across different sectors and disciplines in data science and artificial intelligence so that data “works for people”, according to its director Michael Rovatsos. The purpose-built building houses a number of organisations that include The Alan Turing Institute, a national institute for data science and AI; the Edinburgh Centre for Robotics, focusing on robotics and autonomous systems (RAS) technology; the UoE School of Informatics, as Europe’s largest research and teaching centre in computation, information and cognition; and The Data Lab to innovate and develop new data science capabilities. Briefly taking time off from Brexit, Theresa May and Scottish First Minister Nicola Sturgeon visited the Centre back in August to sign the £1.3 billion City Region Deal for Edinburgh and Southeast Scotland, with half of the investment allocated to data-driven innovation over the next 15 years. In return, this is expected to deliver a boost to the gross value of the local economy of between £2.5 billion and £5 billion annually over the same period, says Rovatsos. Against this backdrop, the University of Edinburgh recently hosted IOHK’s first Plutus Fest conference for academics, business professionals and developers; Plutus being a platform developed to provide a general programming environment for a wide range of blockchain applications. Based on the Haskell programming language, Plutus will enable fintech developers to write secure and robust smart contracts on top of Cardano’s blockchain network. The inaugural PlutusFest event, which is likely to become annual, marked the official launch of both Plutus and Marlowe as twin tools for enabling businesses to create smart contracts. Marlowe is pitched as an easy-to-use tool for finance industry professionals without a programming background to generate code and create software products for building automated financial products on the blockchain. If the name appears to reference that of Elizabethan playwright Christopher Marlowe it’s by design – as Professor Simon Thompson noted, Marlowe also served as a spy for Elizabeth I and was “entrusted with valuable secrets”. Designed as a general purpose tool for writing financial contracts and still a work-in-progress, Marlowe comes with its own web-based testbed – Meadow – and will be general purpose, enabling it to be implemented not only on Cardano Settlement Layer (Cardano SL), but also other platforms such as Ethereum. Hoskinson describes both technologies as “a major step forward” for the blockchain industry, which has the potential to release massive benefits. “Renewing and reviving the infrastructure of the global financial system will bring costs down and allow the emergence of new companies as digital disruptors in financial services and other industries,” he predicts. At Plutus Fest, Hoskinson outlined what he called the “sinkhole effect” triggered by the world financial crisis a decade ago and preceded by the rise of the internet and globalisation. The 20th century financial system was no longer tenable, hence the crisis, but the need to build something new was coupled with awareness that it had to be radical. Asked if the methodology employed by IOHK for developing Cardano has slowed its development, Hoskinson admits that it hasn’t yet reached the stage of mass adoption. “The protocol needs to be properly designed and the code behind it properly written, so there’s a long road ahead if we’re to ensure that the platform is adopted correctly. Hoskinson also referred to the sector’s “overabundance of charlatans making ridiculous claims” for their systems. Technology enables people to connect with endless options, while encouraging them to commit to, well, nobody. FREE white paper available for download! Can you tell which bit of generalities "we have data, customers and scale" actually holds value for the future?